Size of the product is of 100 cm (H). 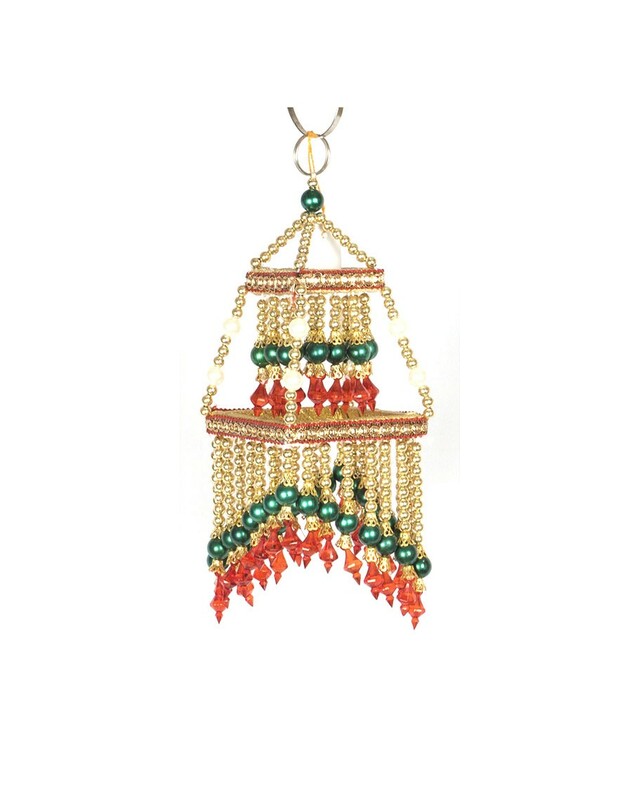 Shaped like a chariot, this multi-colour hanging is made of beads. 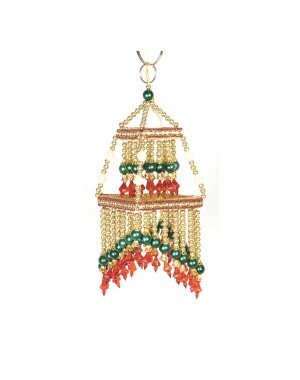 Adorned with gold, red and green beads, this comes along with a key ring holder at the top for suspending the hanging. 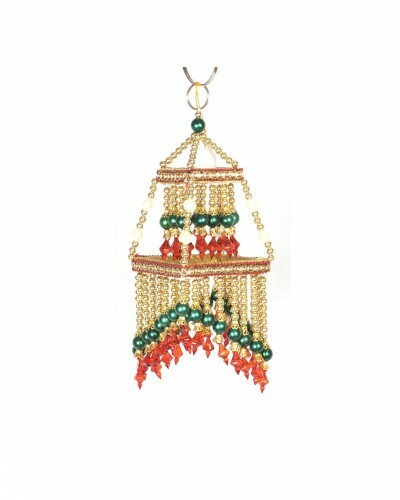 This can be a great decorative addition to your home.